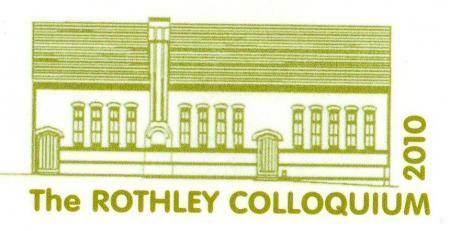 This event was held at the Old School Rooms, School Street, Rothley on Saturday 20th March 2010 from 9.30am-4.00pm. It was chaired by Terry Sheppard, Rothley Heritage Warden. Brian Verity "Rothley Archaeology-an overview"
Vanessa McLoughlin "Origins of Rothley Parish investigated"
David Carpenter "The Peasants of Rothley, the Templars and King Henry lll"
Tim Upson-Smith "Rothley Churchyard Revealed:Secrets of the Lost Grave Site"
Brian Verity has a BA Hons in Archaeology, University of Leicester. 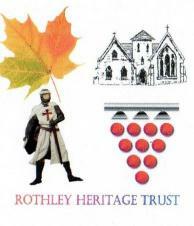 He is a Heritage Warden for Rothley and Chairman of the Rothley Heritage Trust. He has a particular interest in Romano-British Villas, especially Rothley. Vanessa McLoughlin has a PhD in English Local History, University of Leicester. Her thesis was Medieval Rothley: manor, soke and parish. She has published articles on aspects of medieval life in Rothley, and Leicestershire. David Carpenter is Professor of Medieval History, King's College, London. He has published widely and he specialises in the thirteenth century, and the reign of Henry lll. Tim Upson-Smith is the Senior project Supervisor with Northamptonshire Archaeology. He directed the excavation in 2007 on the "lost" graveyard of Rothley church. Also, Bob Trubshaw who runs "Heart of Albion" attended with a wide range of books on folklore, mythology and cultural history. Tour A led by Terry Sheppard around the village and churchyard. Tour B led by Brian Verity looking at the Rothley Temple site. XHTML 1.0 validated. WCAG compliant. Page generated in 0.1457 seconds.